Lace up your boots and experience some of the best hiking in New England. Whether you are a day-tripper or long-distance hiker, old hand or novice, you'll find trails suited to every ability and interest. 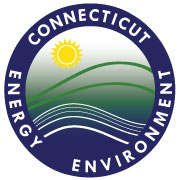 The Connecticut Forest and Park Association (CFPA) maintains over 825 miles of Blue-Blazed Trails in Connecticut, trails that wind through state parks and forests, land trusts, and across private land. The Connecticut Walk Book is a comprehensive guide to these trails, including detailed, full-color maps, mileage/destination tables, and a lay-flat design for ease of use. In this twentieth edition of the Connecticut Walk Book you will find descriptions of the hikes with maps that are clear and easy to read and follow, parking information, and trip-planning essentials that will bring you to every trail.